When Watercrest Quality Services Director Shannon Morelli began her search for id bracelets for their memory care residents she evaluated a number of products that were typically used in an assisted living setting, but none could satisfy all her requirements. The bracelet had to be durable, since it would be worn 24/7. It had to be hypo-allergenic. Each medical ID bracelet would have to be custom engraved with the name of the Watercrest facility and the resident’s name. It also had to be attractive, so the resident would want to wear it. But, there was one more item on Morelli’s must-have list. She wanted a medical alert bracelet that the memory care resident couldn’t easily remove. 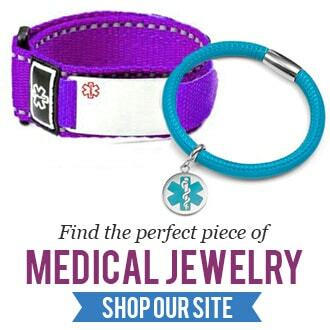 Her search eventually led her to StickyJ, and its line of affordable Safety Clasp bracelets. For more information, please contact StickyJ’s Marketing team at 727-823-9500. New year, new moving sale!